The French Quarter is our newest events space, opened in association with Southern Comfort, with an exciting drinks list to match which heavily features New Orleans' finest liqueur. 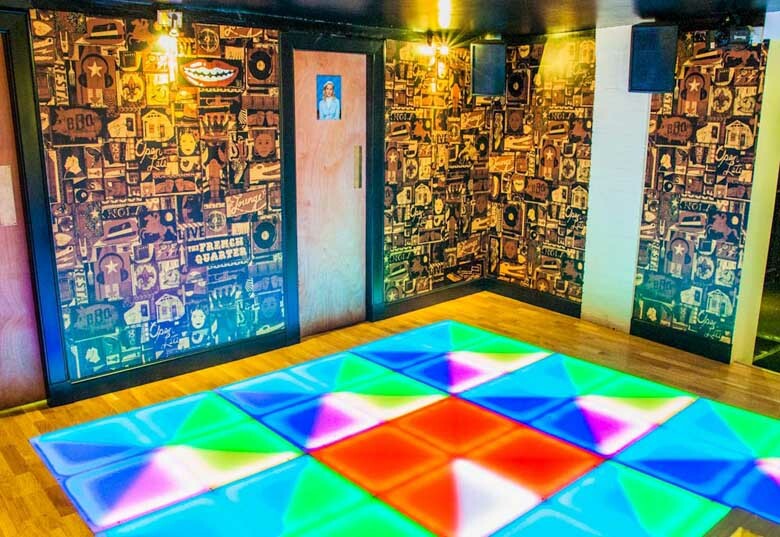 As well as a nicely laid out, well lit seating area and well-stocked bar, there is a dazzlingly good light-up dancefloor and DJ booth/equipment. The French Quarter, viewing the dancefloor area. 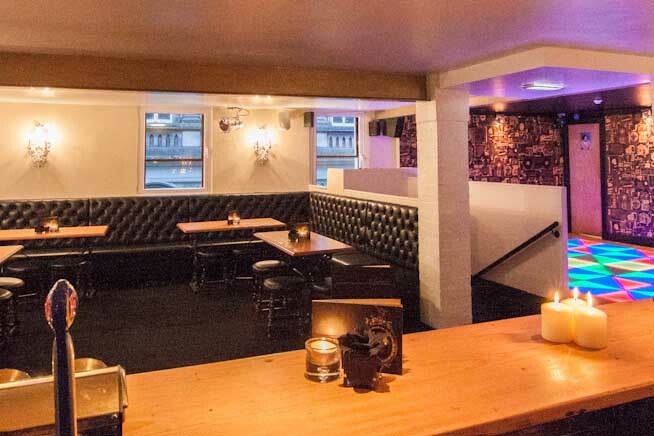 The French Quarter is located on the first floor, just off the main entrance stairwell (en route to The Speakeasy) and it is available seven days a week for private hire. The French Quarter, from behind the bar.